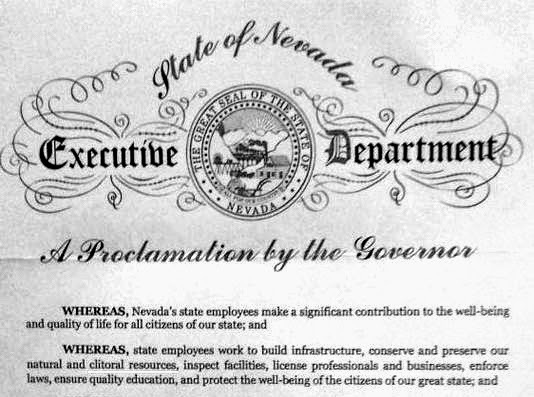 Last week, if you didn't know, was state employee appreciation week in Nevada. A proclamation by the office of Nevada's Governor, Brian Sandoval, cited some of the work done by state employees including those who 'conserve and preserve our natural and cultural resources'. Well, that was what it was supposed to say. Unfortunately, spellcheck was wearing its cheeky hat that day. At least I've learned a new word this week. No, no, no. It's gubernatorial. Go on. Look it up. Who knew?